If working with a decorator sounds expensive, think again. In this first of a three-part series of articles about designing on a budget, Erin DeRouen reveals how a well-spent $1,000 can transform a space—and actually create savings to boot. Picture this. You just bought a house. It’s a great space, with room to grow, and has lots of potential ... but it hasn’t quite got the feeling you’re going for—not just yet. After all the costs associated with buying a home, money’s going to be tight for awhile, but you do have about a thousand dollars to spruce up a few things. You have a vision, but you’re not sure what to change, and your budget doesn’t allow much room for error. Being savings-minded, you’ll likely be inclined to pursue this particular design journey alone. But we want to let you in on a little secret: Even on a thousand dollar budget, you can get a professional consultation, and here’s why you should. Meeting with a professional can help a homeowner avoid expensive mistakes like jarring paint colors, fabric choices that don’t fit your lifestyle, and layout to maximize a space’s potential. Investing in a few key pieces, like a lamp, artwork, or an interesting rug, can transform a room. Lighting, for example—Erin notes that by simply trading in a single overhead light source for several well-placed lamps might be all it takes to transform a room into “home.” Sure, you can find lamps that would make your wallet run and hide, but there are lines available that bring chic style well within reach, letting your budget stretch farther. The same goes for pillows and artwork. Carefully-selected artwork can set off your paint palette and accentuate the colors of existing rugs and accessories. Re-upholstering existing pillows with quality fabrics can make a well-worn sofa feel like a whole new oasis, and will last longer than mass-produced items found at a big box store. Good things take time! Gradually updating is often the most cost-effective route to finding balance between beautiful and functional in your living spaces. If you’re still seeing dollar signs when you think about working with an expert, consider this: A two-hour, in-store visit with a Signature interior decorator costs $200 (and if you’d like them to come to your home, travel time from the store is included in the two hour timeframe), and you’ll still have 80% of your thousand-dollar budget left. What’s more, if you find something you love in the SSA showroom and purchase it within six months of the consultation, they’ll give you your $200 back, which means you’ve basically gotten professional design advice for free—a win for both your pocketbook and your home, sweet home. 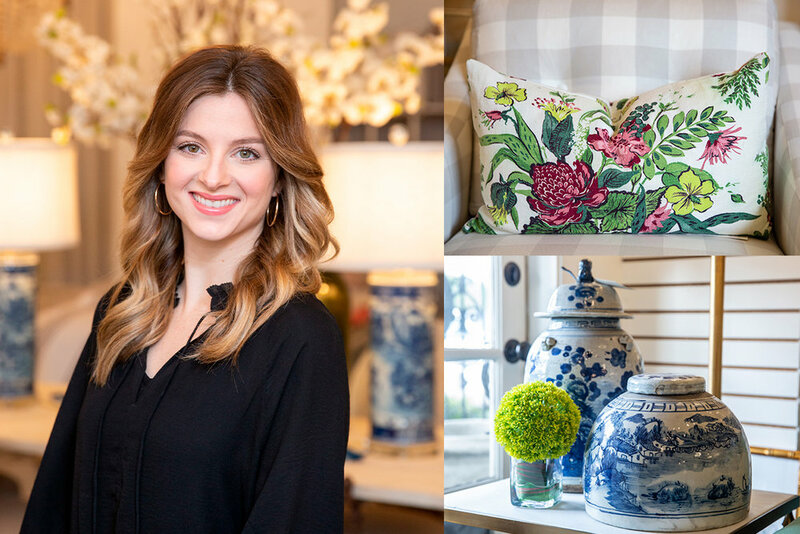 Interested in meeting with Erin or another expert to set your first design consultation? Request an appointment by emailing store@signaturesouthernaccents.com or call 225-654-7110. Coming next month: the second of the series - what you can do with a $2500 budget. If you liked this month’s tips, you’ll be amazed how far that will go!